You will find below the horoscope of Katherine Kelly Lang with her interactive chart, an excerpt of her astrological portrait and her planetary dominants. Celebrities born the same day: Iman (model), Matt LeBlanc, Diam's, James Lafferty, Brad Renfro, Eric Judor, François Besse, Thurston Moore, Margarita Magaña, Gavrilo Princip, Elisabeth of Bavaria (1876-1965), Angela Melini... List of all the celebrities born on July 25. Celebrities clicked on in real-time: 577,225,345 times. Katherine Kelly Lang (born Katherine Kelly Wegeman on July 25, 1961 (birth time source: birth certificate, Stephen Przybylowski, Astrodatabank) is an American actress. She is known for her role as Brooke Logan Forrester on The Bold and the Beautiful (1987–present). Personal life She was born in Los Angeles, California and graduated from Beverly Hills High School. She is the daughter of Olympic ski-jumper Keith R. Wegeman and actress Judith Lang and the granddaughter of Oscar-winning cinematographer Charles Lang. Lang has been married twice, the second time to manager Alex D'Andrea. D'Andrea represents such actors as Stephen Baldwin and works for Edmonds Entertainment. Lang is the mother of three children: Jeremy Skott Snider (born 1990), Julian Lang Snider (born 1992), Zoe Katrina D'Andrea (born 1997) and stepdaughter Danyelle Puschendorf D'Andrea (born 1991). Here are some character traits from Katherine Kelly Lang's birth chart. This description is far from being comprehensive but it can shed light on his/her personality, which is still interesting for professional astrologers or astrology lovers. 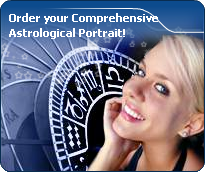 In a matter of minutes, you can get at your email address your astrological portrait (approximately 32 pages), a much more comprehensive report than this portrait of Katherine Kelly Lang. Katherine Kelly Lang, the nocturnal North-eastern quadrant, consisting of the 1st, 2nd and 3rd houses, prevails in your chart: this sector favours self-assertion and material security to the detriment of your perception of others. You consider self-transformation to be a hazardous adventure. You are inclined to seek stability and you tend to protect yourself with your actions. Possession, acquisition but also communication, without opening up too much, are part of your deep motivations. You are rather autonomous and constant, however it is important that you pay more attention to others, so that you can improve your outcomes. Like the majority of Earth signs, Katherine Kelly Lang, you are efficient, concrete and not too emotional. What matters to you is what you see: you judge the tree by its fruits. Your ideas keep changing, words disappear, but actions and their consequences are visible and remain. Express your sensitivity, even if it means revealing your vulnerability. Emotions, energy and communication must not be neglected; concrete action is meaningless if it is not justified by your heart, your intellect or your enthusiasm. Katherine Kelly Lang, Fire is dominant in your natal chart and endows you with intuition, energy, courage, self-confidence, and enthusiasm! You are inclined to be passionate, you assert your willpower, you move forward, and come hell or high water, you achieve your dreams and your goals. The relative weakness of this element is the difficulty to step back or a kind of boldness that may prompt you to do foolish things. Cadent houses, namely the 3rd, 6th, 9th and 12th houses, are very emphasized in your chart, Katherine Kelly Lang. They indicate important potential for communication, adaptability and flexibility. These houses are symbolically linked to the mind and intellect. The relative weakness implied by these characteristics indicates your tendency to hesitate or to be indecisive, but also your remarkable ability to start off again, which is a nice quality, finally: you can easily get yourself out of a tight spot thanks to your mobility and casualness, in the best sense of the term. This group of houses corresponds to evolutionary characteristics of your personality. However, they are only indications and you must include them in the rest of your chart in order to see whether they are validated or not! The 3rd, 9th and 11th houses are the most prominent ones in your birth chart. From the analysis of the most tenanted houses, the astrologer identifies your most significant fields or spheres of activity. They deal with what you are experiencing - or what you will be brought to experience one day - or they deal with your inner motivations. After this paragraph about dominant planets, of Katherine Kelly Lang, here are the character traits that you must read more carefully than the previous texts since they are very specific: the texts about dominant planets only give background information about the personality and remain quite general: they emphasize or, on the contrary, mitigate different particularities or facets of a personality. A human being is a complex whole and only bodies of texts can attempt to successfully figure out all the finer points. Your sensitivity is withdrawn, Katherine Kelly Lang: more than anyone, you tend to lock yourself in your ivory tower, as you are aware of a kind of superiority that may be real, though overrated. Your moods are not perceptible because you control them with a tight fist. It is difficult to know if you are happy or upset because you show nothing. You avoid situations which compel you to reveal your emotions because you are not demonstrative. Please, be aware that it is not your amorous behaviour that is being analyzed, but the daily expression of your sensitivity. You dread the crowd and you need calm, and even solitude, to feel comfortable. You are well-equipped to remain balanced in all circumstances, but it may prove beneficial if you progressively take a relaxed attitude and show more dedication, as you are worth it; it is easier for you to exteriorize your feelings when your projects or your ambitions justify that you do so. You do not practice gratuitous outpourings, particularly when your are with a group, because you are afraid to open up, as if you were on the defensive, without any reason most of the times. Your intelligence is sensitive and delicate, with good comprehension abilities, Katherine Kelly Lang, which endows you with a strong intuition and receptivity. To you, impressions and feelings prevail over facts and your excellent selective memory is not cluttered with useless elements. Although you are not aware, your fertile imagination may lead you to change your daily reality so that it matches your dreams better. If you are creative, you may make use of your imagination in literary pursuits where you can freely invent beautiful stories taking place in the past. Your passion for History is such that you may immerse yourself into it with too much nostalgia and therefore, you may miss opportunities the present offers to design projects and to think of the future. What is it, that really appeals to you, Katherine Kelly Lang, to love or to please? You have so much charm and so much volubility that you easily manage to be what is known as a femme fatale. Feelings and intellect are so tightly mingled that you may not know any more whether you are really in love or whether you are acting. You have a taste for flirt and variety, and you appreciate very much complicated situations where no one knows where the truth lies any more. You shift from one game to another. To you, everything can be an agent for seduction, be it your attitudes, your words or the way you dress. You do not separate your actions from your desire to please. People who do not understand this are in trouble because, if they take your sweet and well-phrased speeches too literally, they are likely to undergo cruel disappointments: for you, it is only a matter of living in the moment and you never commit yourself because, above all, you loathe confinement, even just its thought. The ruler of the Ascendant, Katherine Kelly Lang, is Pluto. In the sign of Virgo, it turns you into a cautious and rational person, sometimes to the detriment of your feelings. You like to improve yourself, and you pay a great deal of attention to details. You respect the rules, and you appreciate well-done work. However, you may lack self-confidence or you may hesitate, perhaps because you hate to make mistakes, since you believe that truth is a major quality. Katherine Kelly Lang, you skilfully make use of your energy and you are like the arrow that reaches its target with great precision: with piercing eye and sharp mind, you take action meticulously and efficiently. Like the surgeon with his scalpel, you know exactly what you want and you belong to the category of specialists, not the generalists. Critical, pernickety, extremely organized, you want to foresee and to analyze. You prefer to master your business too well rather than not enough, even if you must put a huge, sustained, long lasting effort into it. Sexually, you remain fanatical about cleanliness. You may be prone to fantasies such as fetishism. Your love life is fine if you avoid the unforeseen events that you loathe. This text is only an excerpt from of Katherine Kelly Lang's portrait. We hope that it will arouse your curiosity, and that it will prompt you to deepen your knowledge of astrology, as well as to visit and use the wide range of free applications at www.astrotheme.com. Your Life Path is influenced by the number 4, Katherine Kelly, and your destiny implies sustained efforts, long-drawn-out works, and concrete achievements. The path may seem a bit tedious, but it is very promising, provided that you demonstrate some tenacity, loyalty, and patience. You are often invited to display orderly and methodical qualities, and step-by-step, you go through all the stages which may lead you to success, if you do not let hurdles dishearten you throughout your life. Persistence is among your major qualities. You see life as a challenge, and, far from falling into the trap of picking the easy way out, you face problems with calm and lucidity, and you choose the work and steady effort which open the door to success, although evolution requires quite a long time. Your personal path is based on continuous efforts and on maintaining the same immutable direction.